Welcome to “Jajomie Spotlight,” where we periodically highlight the people who make Jajo tick. For this first round, we’re featuring the steady hand of Andrew Timme. 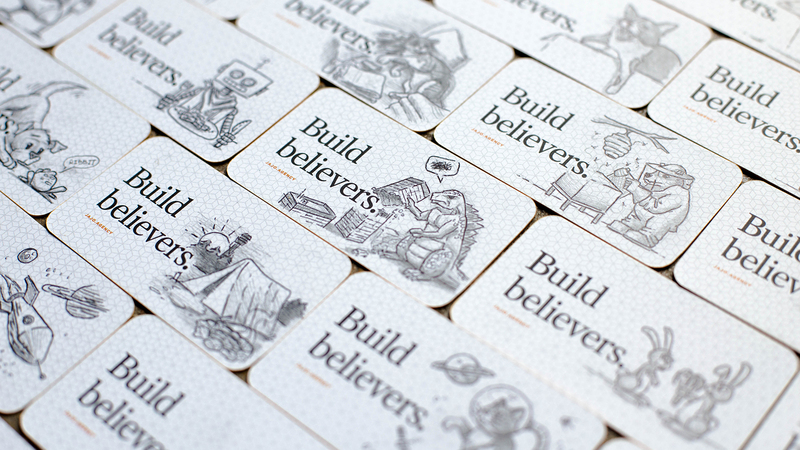 His custom-illustrated business cards are a hit in the office. 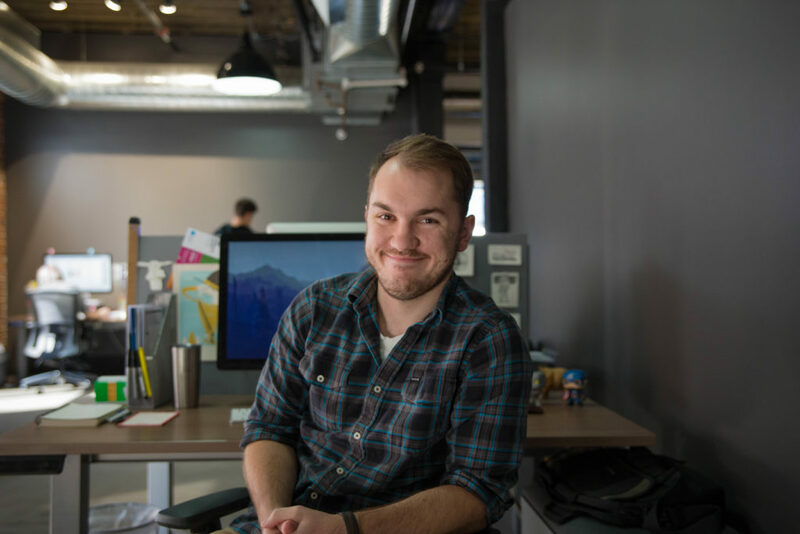 Join us as we dig deep into the mind of this designer and master of sketch. These sketches are really imaginative and specific. Do your illustrations have a story behind them? As a kid, I used to read the comic strips in the paper every day. The ones that stick out in my memory were the instances where the artist made me laugh with a single image and a few words. It wasn’t a conscious decision, but I think that’s what I ended up trying to do with most of my illustrations. Goofy little situations. But some of them are also sketches of a pet or a scene from a movie I like. Do you incorporate sketching into your workflow, and is your approach different for clients vs. yourself? Sketching is part of almost every project, but in a very different way. Usually the first step is messy and quick. It’s about trying to get the idea out there so we can decide if it’s worth pursuing. When I sketch for myself, I’m trying to develop a certain style, and it’s just fun. 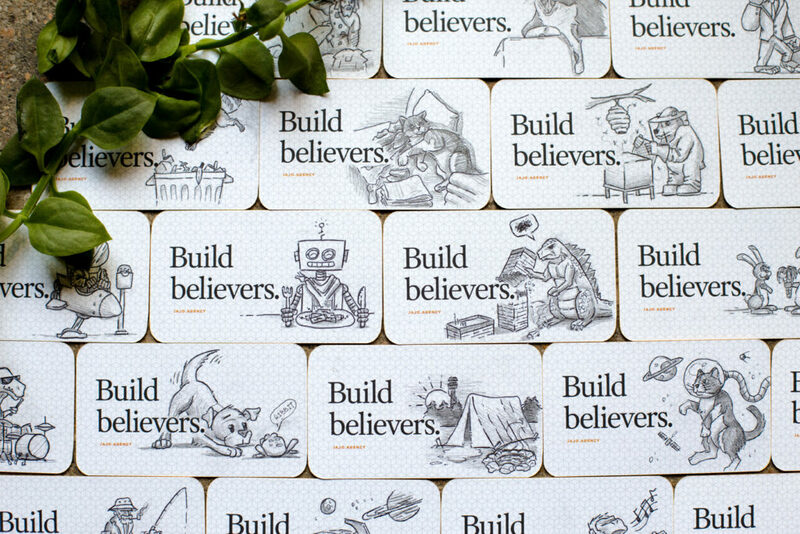 The illustrations seem to give a new meaning to the words “Build believers.” Did the blank space inspire you to expand on that? 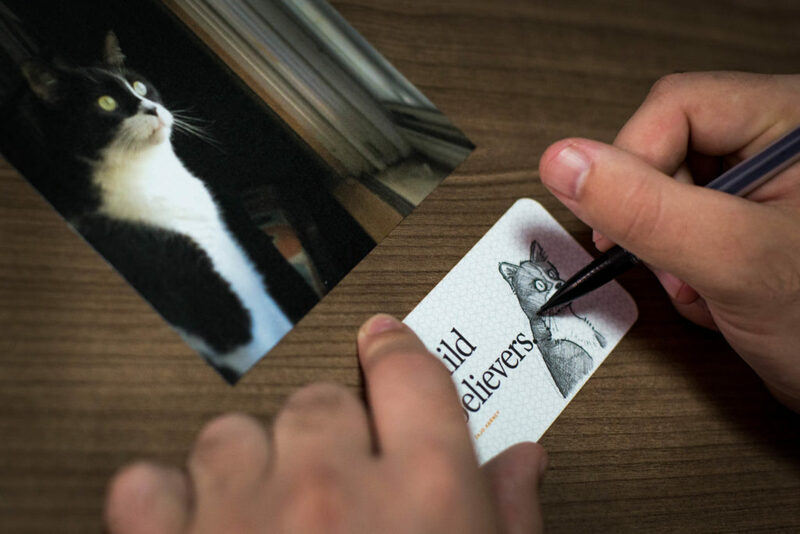 I do remember thinking the business card looked like a blank canvas. 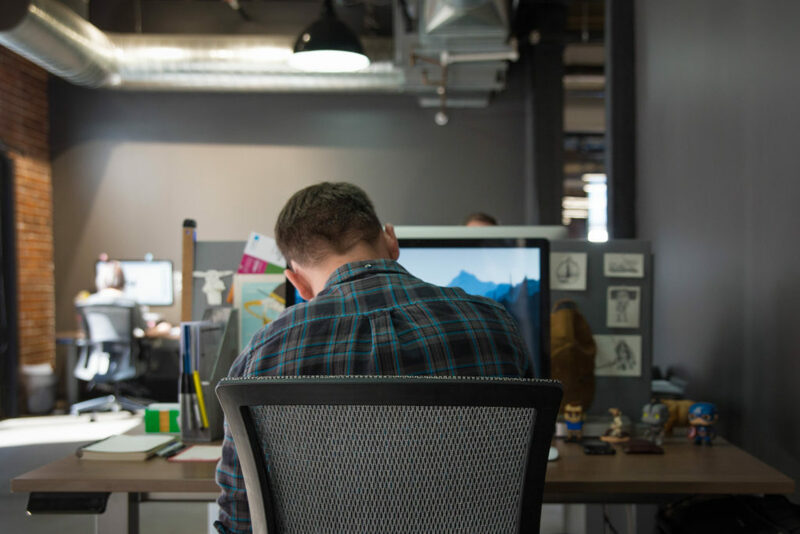 They’ve got this clean and sleek look that is great in a professional, business sense, but as my desk setup would probably indicate, I like to fill up the negative space. I guess I saw this empty space on the card as a sort of creative invitation, and I decided to build something with it. What’s your favorite thing about being a designer? I’ve always liked the idea that there are more ways to communicate than simply talking. It started as sketching random pictures as a kid, but the more I do it, the more I’m fascinated by sharing an emotion with someone without saying a word. Whether you’re creating music, stories or art, it’s all about making somebody else feel something. The fact that there is a way to make a living doing that is awesome.